The iPhone assembly company Pegatron is reported to be moving production of all devices affected by US tariffs away from China and to a factory on Batam Island in Indonesia. Including non-Apple devices, the production being moved equates to $1 billion in revenue annually, with the plant expected to begin operations in mid-2019. "The Trump-Xi meeting will not affect the pace of Pegatron's strategy," an unnamed source told the Nikkei Asian Review. "The investment will be made either by the end of this month or at the beginning of next month at the latest, as it will require two quarters for Pegatron to move, install and certify equipment before the plant becomes fully operational." Also according to the Nikkei Asian Review, plans under consideration also include northern Vietnam as a possible site for future manufacturing. However, according to the news site's source "investment in Batam Island is going faster than other places." A Pegatron spokesperson refused to confirm the claim but said the company was "surveying all of the possibilities". 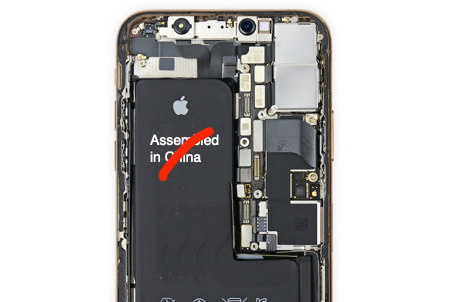 Pegatron remains a significant iPhone assembler but Apple did appear to scale down its use of the firm following alleged capacity and component sourcing issues. Reportedly, Pegatron had originally been slated to produce between 50 and 60 percent of all iPhone XR orders but is now to make only 25 percent. Rival Foxconn may be producing the other 75 percent. Two unnamed sources told the Nikkei Asian Review that Pegatron is renting factory facilities rather than constructing new ones, specifically so that it can begin production sooner. The rented facility will employ between 8,000 and 10,000 laborers. The move fits with Pegatron's Chief Financial Officer Charles Lin's telling investors that new facilities could be situated across three countries in Southeast Asia. Similarly, Pegatron Chairman Tung Tzu-hsien did recently announce that the firm intends to expand operations in its northern Taiwan site in order to make tariff-affected devices. Pegatron's expected move would mean that it joins other companies relocating electronics production away from China, including Apple Watch assembler Quanta Computer, HomePod and AirPods maker Inventec, and potentially Foxconn as well. A spokesperson for Quanta told the Nikkei Asian Review that "the latest development of the trade tensions between the world's two largest economies will not change Quanta's ongoing plan." 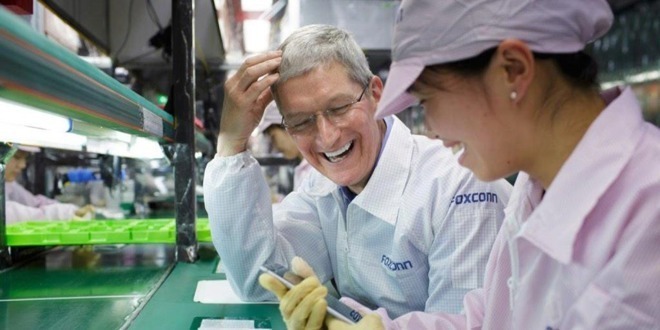 Under the shadow of reports alleging that Foxconn is moving operations out of China, iPhone assembler Foxconn's chairman Terry Gou said that he expects trade tensions to last "five to ten years." "Uncertain policies are causing pressures on manufacturers," said Gou. "Only through multi-location strategies can they respond [to] fast-changing dynamics." Historically, The Nikkei Asian Review has a very poor track record regarding Apple's hardware plans and intentions. However, reports that it generates about the business of Apple's suppliers —such as this report —are nearly always accurate.